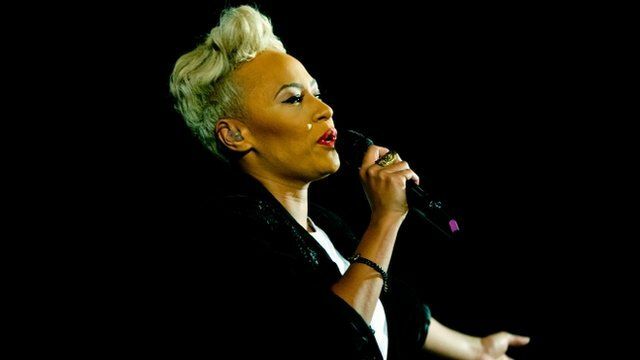 Emeli Sande beats Beatles record Jump to media player Scottish singer Emeli Sande has beaten a record set by The Beatles for the most consecutive weeks in the top ten charts for a debut album. Key moments from Brit Awards Jump to media player Emeli Sande, Mumford and Sons and Ben Howard have been honoured at this year's Brit Awards ceremony in London. Brits: Mumford win best British group Jump to media player Actress Carey Mulligan gave Marcus Mumford a long hug before he took to the stage to accept the best British group award for Mumford and Sons. 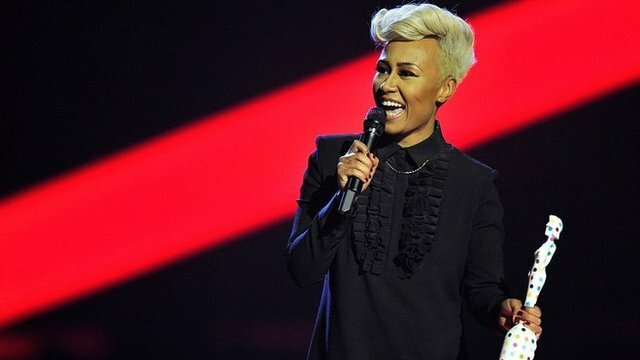 Scottish singer Emeli Sande has beaten a record set by The Beatles for the most consecutive weeks in the UK's top 10 chart for a debut album. Her album Our Version of Events has spent 63 weeks at the top end of the UK's Official Album Chart. The Beatles' album Please Please Me had held the record for almost 50 years.